The island of Madagascar is a study in compelling contrasts and complexities. For starters, let’s consider its geography, plant and animal life. Often dubbed the “Eighth Continent” as a result of prolonged isolation from other continents, Madagascar is home to an unusual blend of exotic fauna and flora. In fact, scientists estimate that of the 10,000 species of plant life on the island, ninety percent can only be found in Madagascar, with many of these species listed as not only endemic but also endangered. This endangerment is attributable to human activity on the island starting over 2,350 years ago. This encroachment has steadily resulted in the depletion of the country’s natural rain forests, with losses estimated at over ninety percent. The animal life on the island bears the same fate as their floral counterparts. As of 2012, there existed 103 species of the ring-tailed lemur. These animals rank high on the list of animals considered rare and endangered. Madagascar’s climate is another point of reference. It experiences a graduation from being tropical along its coast lines to being dry (arid) in the south. If you happen to pitch your tent in the capital Antananarivo, you should expect to experience an annual average rainfall of 1,400 mm between the months of November and April. Should you travel to Madagascar anytime but this period, you should be able to enjoy a pleasant dry season with lots of sunshine, and pockets of chilliness on some mornings. If you are a people-person, then you should feel at home with the social-cultural milieu that Madagascar provides. A recipient of immigrants from many parts of the world, present day Madagascar comprises an eclectic mix of Austronesians, Arabs, Indians, and Chinese with input from other ethnic minorities. Each of these peoples have and continue to make a lasting impact on the way of life on the Island, giving vibrancy to the food, fashion, and appearance of the peoples. It is important to note that the French were the colonial masters, from whom the island received full independence on 26th June 1960. Madagascar is blessed with an abundance of diverse plant and animal life as we mentioned earlier. Even if these are disappearing by the numbers, there is still a lot to enjoy here. The island’s landscape is just as breathtaking; it ranges from dense jungles interspersed with tombs to high mountain tops and peaks which offer an excellent view of the island. Nosy Be Island is among the smaller islands near Madagascar. Tourists love to spend time at the beach fronts because of the bright and sunny climate that lasts for most of the year. The sands on the beach are delightful to the touch, and the air is pleasant with the enticing aromas from the Ylang Ylang. Also, the warm waters and effervescent vegetation add to the overall appeal. Tourists can go scuba diving, snorkeling as well as take guided tours to other islands. Another small island holding, Saint Marie is home to secluded, white sand beaches. The other main attractions include lush vegetation and an abundance of palm fringed coves. These coves can serve as the perfect romantic getaway for couples and lovers. You can choose to swim and go snorkeling and watch orchids blossom at their peak. Located in the South-west region of Madagascar, this place plays host to surreal beaches with beach fronts that extend for eternity, coral reefs as well as an enveloping island sensation. Preferred activities for tourists include climbing the dunes and expeditions to small fishing locations. You can also book a tour from this great beach location to the Spiny Desert. Monrodova is famed for its wide sandy beaches, where visitors can swim in its warm, crystal clear waters. The view of the sunset from the Mondorova is breathtaking. From here, you can choose to book a trip to the famed Madagascar mysterious West Coast. 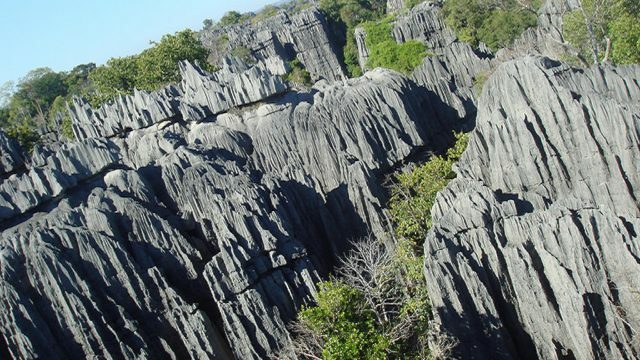 Madagascar offers visitors and tourists an enjoyable gastronomical journey. The island has an assortment of meals that have been influenced by indigenous peoples and the influx of foreigners, who impart a diverse range of culinary traditions over the last few centuries. Malagasy cuisine has undergone development and refinement, especially in contemporary times. One of the basic staples is rice. It is prepared as Sosoa, which is made with extra water and eaten with a tasty sauce called Laoka. It is usually consumed at breakfast or given to the sick as it’s said to help with recuperation. Madagascan dishes are heavily flavored with ingredients such as garlic, onions, ginger, mild curry and tomatoes. For beverages, tourists can enjoy the Ranon’ampango; also called the Ranovola. The drink is made by adding hot water to toasted rice obtained from the bottom of the cooking pot. This drink is healthy and it serves as a refreshing alternative to fresh water. For desserts, you can enjoy the taste of Koban-dravina. This treat comes from grinding peanuts and brown sugar together, then coating the mixture with a sweetened rice-flour paste, shaped cylindrically. 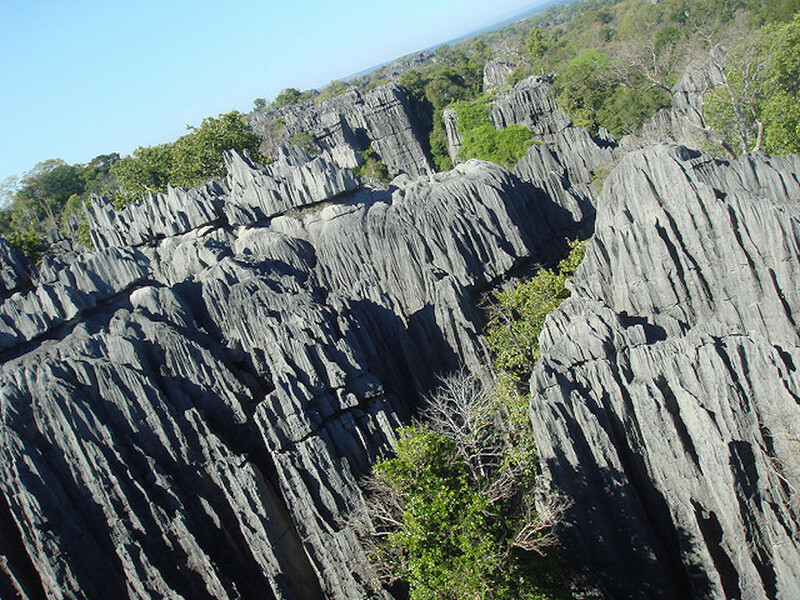 Madagascar is a perfect getaway for the tourist who desires constant engagement during a stay. The island teems with lush forests and some game reserves. So you can see the incredible biodiversity that exists on the Island. You can also explore the smaller adjoining islands by sailing in the famous Malagasy dhow; taking in the sights, sounds, and scents of the environment. Walking along the beach at night allows you to witness the spellbinding displays of nocturnal animals like lemurs et al. Madagascar is situated off the southeastern coast of Africa, and it is the fourth largest Island in the world. The official indigenous language spoken is Malagasy, while French serves as the International language of communication.